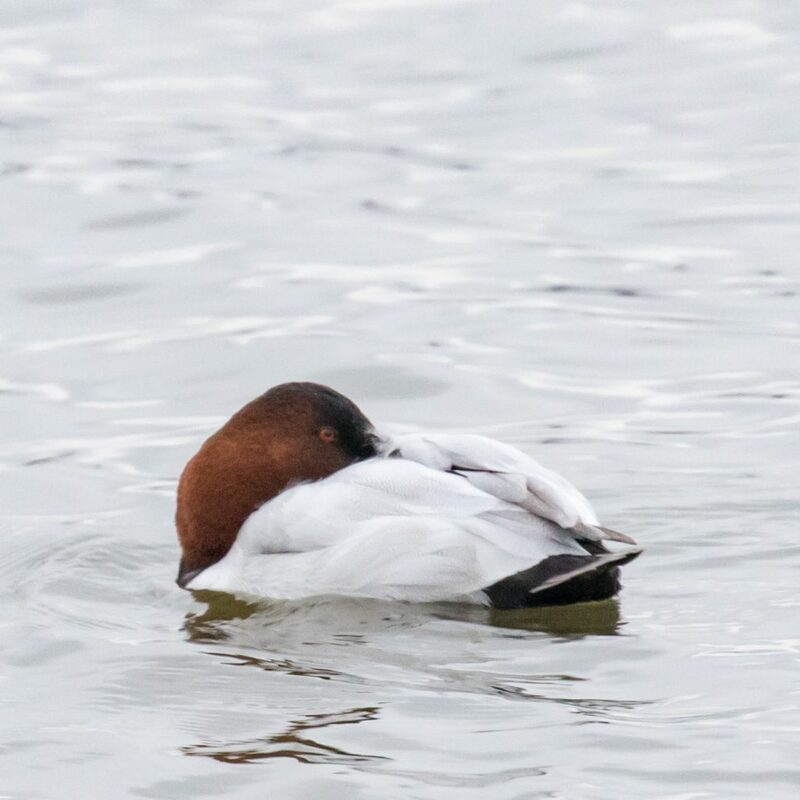 On Thursday, Bruce Nott found a CANVASBACK at the Newburgh Waterfront. Fortunately the bird stuck around and I saw reports of it while at work on Friday. And even more fortunately, Friday was my work’s Christmas Party, so we got out early. I ran for the bird and it was still present – woohoo! Orange County life bird #254 and OC year bird #223! The bird spent most of it’s time tucked in, but finally, just as it was getting dark, a bunch of gulls made a raucous and the bird finally looked up and I was able to get some grain pics. 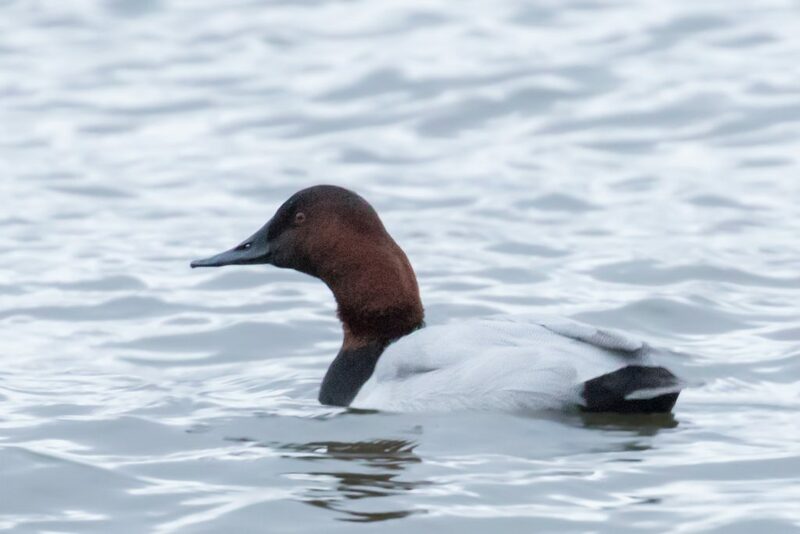 It made me think – it was this time last year I was trying hard for Canvasback in OC because we had so many just downriver in Rockland County near my work. The bird appeared to be settling in for the night as I left – hopefully it will stick around for a little while so more folks get to see it. would show how pretty they really are. I saw some in Colorado and they really stand out in the crowd. But, sometimes we have to just be satisfied we got to see them at all. Next Next post: Wow! Orange County NORTHERN SHRIKE!